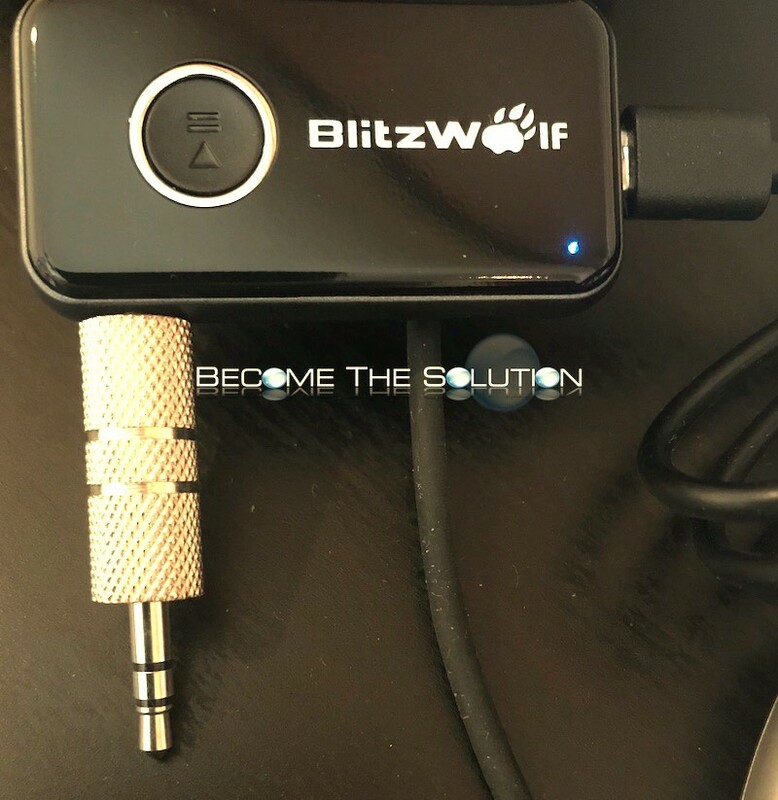 We are excited to review the BlitzWolf Bluetooth music receiver! This Bluetooth receiver is v4.0 which allows up to 200ft range. The built-in battery (charges via an included USB Micro-B cable) will work up to 12 hours on a single charge. The main benefit to this music receiver is the small convenient size and steel male-to-male 3.5mm audio jack for supporting the receiver in any spot. You can hide this music receiver without needing to run longer wired 3.5mm cables. Pairing the BlitzWolf music receiver was as easy as powering it on. The unit blinked red/blue to indicate pairing mode and a beep is sounded on the device you pair. The device shows up as BW-BR1 in your Bluetooth device settings, pictured below. Note: If you maximize the volume or change a song on a paired device, a beep will also sound. The music receiver will blink blue each seconds when you are sending audio through it. The receiver will slowly blink blue if it is only connected (paired). The song/volume buttons on the music receiver are suitable for controlling song and volume selection while on the move. You must hold down these buttons to bypass next/previous function in order to adjust volume up/down. Interestingly, there is no battery indicator on your paired device to show you remaining battery life. However, you will receive an alert when the battery is low. You can simultaneously charge the music receiver while using it. 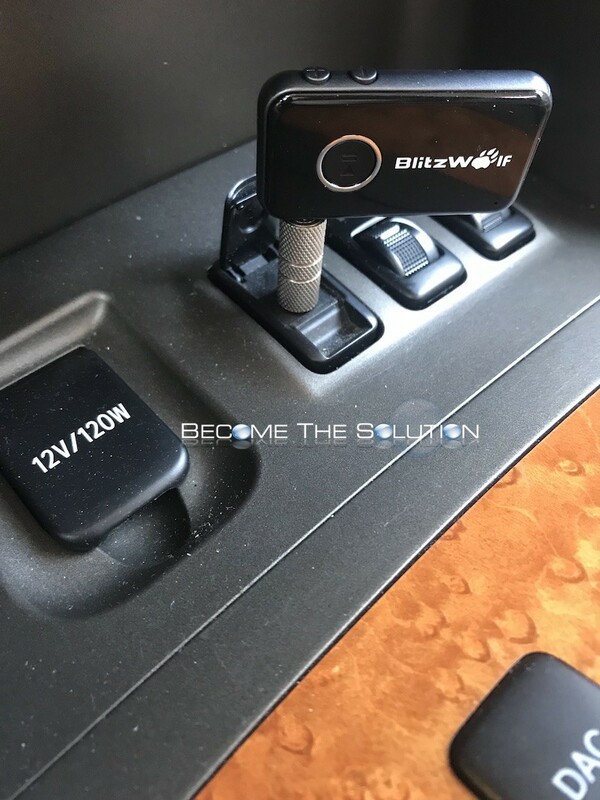 We love the BlitzWolf Bluetooth Audio Receiver in our car because of it’s convenient size and incredible battery life. We also take it on the go with us and I use it in my other cars. 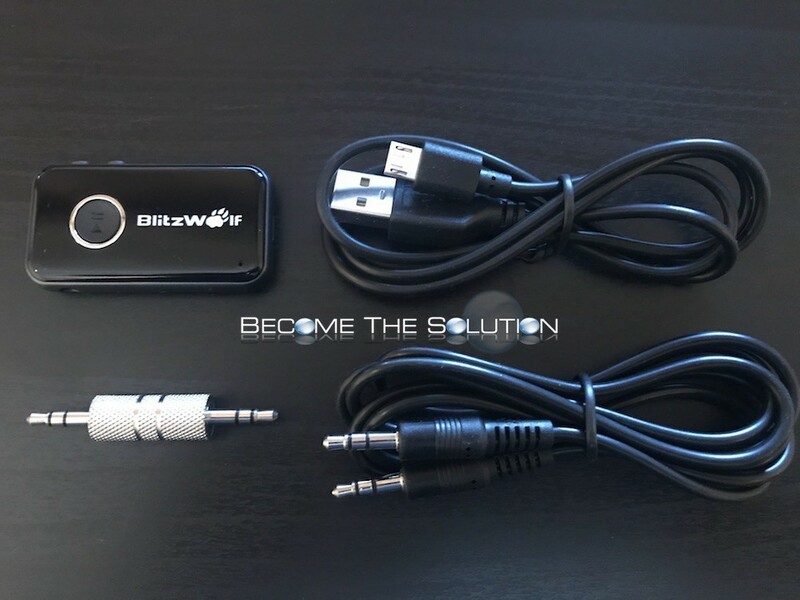 Buy the BlitzWolf Car Bluetooth Receiver here. 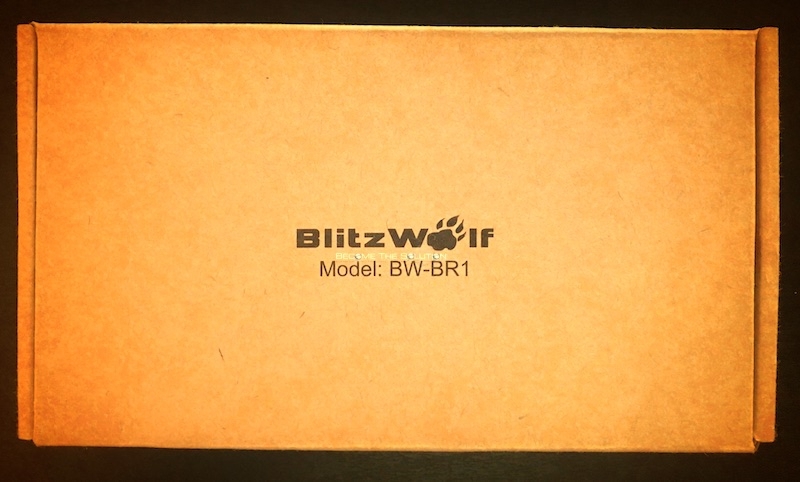 For more information, visit BlitzWolf official website here.